You are here: Home / Bullying / What is Bullying? 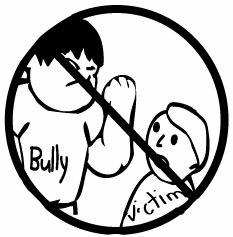 Bullying is a form of aggression where one or more children harass or intimidate another child repeatedly. It occurs without a reasonable cause and includes senseless or uncalled-for actions toward another person. Sometimes it originates from personal characteristics, e.g., race, religion, physical attributes, socioeconomic status, physical or mental ability. Threats, e.g., I’m gonna get you! Teasing is making fun of or bothering another child. If a child calls your child dumb, that is not bullying but it is certainly rude! 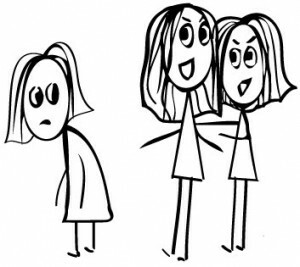 It is important to distinguish between bullying and teasing. When a child is bullied, she will feel threatened or powerless. Bullying doesn’t happen just one time but rather on many occasions. My daughter came home very upset one day and proceeded to tell me she was bullied. Of course, I was shocked but as it turns out she was being teased – two children on the bus decided to make her feel uncomfortable. If this occurred repeatedly it would qualify as bullying. The table below further distinguishes between someone joking around (although I was raised there is no such thing as a joke) and bullying. It is also important to discuss with your child the difference between tattling (getting another child in trouble) and telling an adult when someone is bullying or doing something dangerous. Openly talk to your child about bullying and teasing.